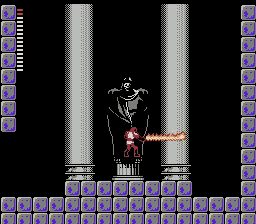 NES Castlevania II: Simon's Quest (Europe) in 38:53.0 by Bisqwit. This is the story of Simon Belmont's horrible weekend without sleep. The timeunit count for this movie is 3:15:11. There are several items that are required for the completion of the game, and you can't buy them without killing a certain amount of monsters, thus this movie has quite much of running back and forth, collecting hearts. There are a few very impressive glitches in this game - using them could cut the time down significantly. We will probably see a version utilizing them in the future.